As recently as last Thursday, Conference USA still had a legitimate shot at becoming a two-bid league. Old Dominion – in second place behind Louisiana Tech – was considered among Joe Lunardi’s “Last Four In” selections, a team capable of sneaking into the Big Dance even if failed to win the league tournament. But life outside power conferences can be cruel, and the Monarchs all but squandered those at-large chances over the weekend, suffering back-to-back road losses at UT-San Antonio (Thursday) and UTEP (Saturday) while falling to fifth place overall. In fact, with several other would-be contenders also stumbling badly in recent weeks, the once-crowded conference field is looking more and more like a two-horse race between Louisiana Tech and UTEP. Let’s examine the top of the standings, the potential importance of the date of February 26, and why UAB has an ace in the hole come March. Louisiana Tech – 20-6 (11-2). The preseason conference favorites are right where we thought they would be back in November – all alone atop the standings. Louisiana Tech boasts the second-most efficient offense and defense in C-USA and its #67 overall KenPom ranking tops in the league. 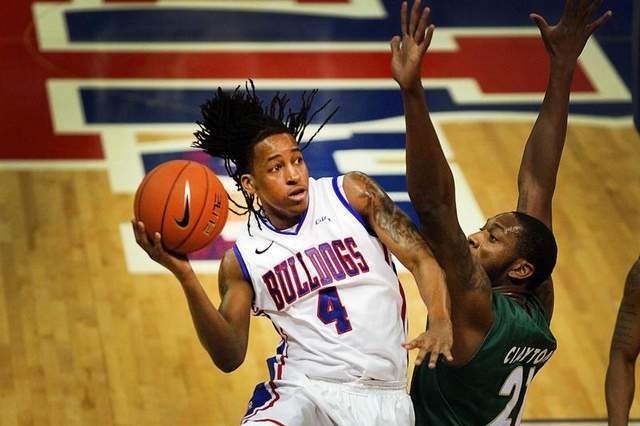 And while the Bulldogs’ excellent guard trio garners much of the credit – led by Kenneth ‘Speedy’ Smith, the nation’s top assist man (7.9 APG) – forward Erik McCree (12.0 PPG, 5.2 RPG) has also been superb in his first year since transferring over from Murray State. If Michael White’s up-tempo bunch can win at Old Dominion next Saturday, it may be one victory over UTEP away from an outright league title. Harvard. 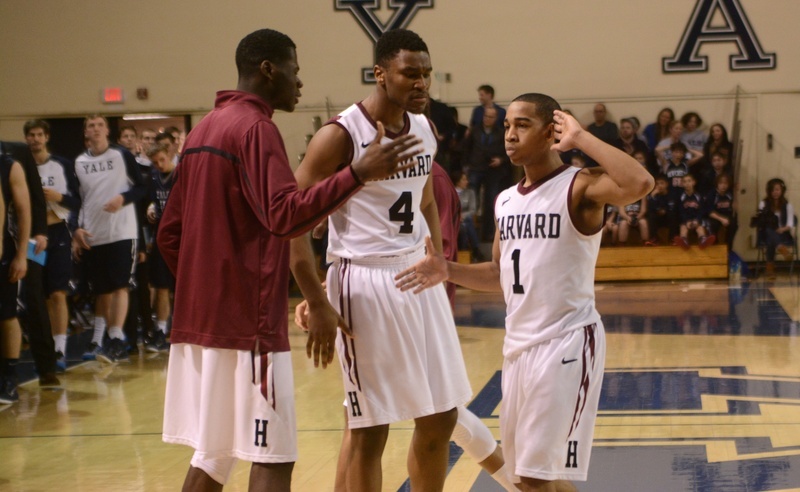 One could argue that Harvard’s season was at stake against Yale on Saturday, or at least close to it. The Crimson, 4-1 in Ivy League play, faced the prospect of falling two games back of the undefeated Bulldogs and severely damaging their hopes for a fourth-straight outright conference title. A victory for Tommy Amaker’s group would even up the records with a return game in Cambridge still ahead on March 6; a loss, and Harvard’s NCAA Tournament destiny would no longer rest in its own hands even if it did beat Yale next month. This was about as “must-win” as it gets in early February. Yet the pivotal showdown would have been even direr for Harvard had it not been for some late-game heroics the night before. Trailing Brown by two with only a few seconds left, it took reigning Player of the Year Wesley Saunders corralling his own miss and banking in a shot at the buzzer just to send Friday’s game into overtime. In the extra period, the Crimson controlled things – ultimately winning by two – and Saunders finished with a career-high 33 points. “We’ve had these kind of games against Brown,” Amaker said afterwards, referring to his team’s third overtime victory in as many seasons against the always-pesky Bears. Call it ‘survival,’ call it what you want, but a win is a win – and Harvard made the most of its second life the following night in New Haven. After an ugly 20 minutes of basketball (Harvard took a 16-11 lead into the locker room), the Crimson held on to their advantage throughout the second half, beating the Bulldogs 52-50 in their own house. Saunders again led the way, scoring 16 points and hitting two clutch free throws in the closing seconds, and in a matter of 24 hours Amaker’s team went from the brink of disaster to re-establishing control of the Ivy League. “We’ve taken these kinds of shots from the other teams the last few years; we’ve been up to the challenge,” he remarked afterward. With Harvard returning home for six of its final eight contests – including the Yale game in a few weeks – the Crimson’s ability to take those shots and respond when it mattered most has put them in good position to retain the conference crown and return to the Big Dance. Colorado is 7-11 in league road games since joining the Pac-12, and the 15th ranked Buffaloes will play their first of the 2013-14 season this Sunday in Seattle. The team says they’re ready to take the next step; they’ve beaten a pair of top ten teams at home and took down two solid Mountain West clubs on the road by a combined 29 points. But in order to join the top ten realm themselves, the Buffaloes need to get the Pac-12 road monkey off their back. Things didn’t go too smoothly in Colorado’s first conference game away from home two nights ago, when Washington State took the highly-favored Buffs to overtime in a neutral site game at Spokane Arena on Wednesday. Colorado did escape with the one-point win, but that was with it shooting 33 more free throws than the Cougars. It’ll need a much better effort than that to beat swiftly-improving Washington on Sunday afternoon. 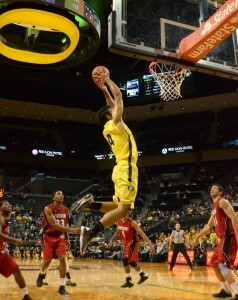 Arizona equaled its school best 16-0 start last night, hanging on for a great 79-75 win at UCLA. The Wildcats had revenge on their minds after suffering three losses to the Bruins last season, and a near-perfect first 34 minutes put Arizona up 68-55 and had a large contingent of fans dressed in cardinal red drowning out the hometown crowd. An insane 15-1 run by the hosts put UCLA up one with 1:45 remaining, but the top-ranked team in the nation proved why they belonged up there, making eight free throws in the final minute to secure the win. 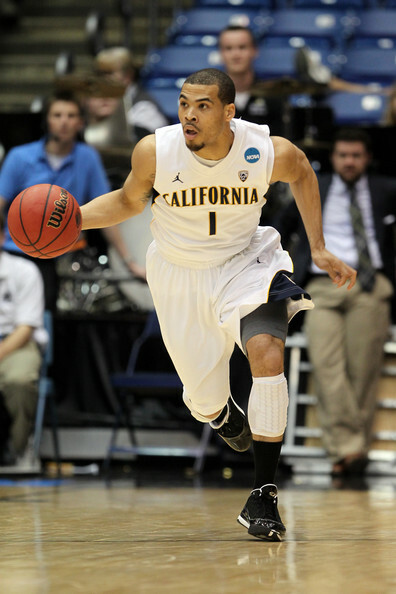 Wildcat guard Nick Johnson led all scorers with 22 points. Joe Lunardi released his now weekly Bracketology report yesterday, and four Pac-12 teams were included in his field of 68. Undefeated and number one Arizona takes the top overall seed, with Colorado next for the Pac as a three. Oregon is just below the Buffaloes on the four line, and it seems likely that those two could be battling for those two spots all the way until March. UCLA is the last Pac-12 team included and is listed as a seven seed, and it gets the most intriguing opening round game (against Harvard) by virtue of having the worst seed of the four. California is Lunardi’s first team left out of the field, although that could change after its 13-point win at Oregon last night. Stanford is included on the “Next Four Out” list along with Arkansas, SMU, and Butler. Be sure to also read the latest edition of Rush the Court’s bracket projections, which are released last Monday. Transfer wizard Dana Altman pulled another one out of his hat on Thursday, when the Ducks officially announced that a class of 2013 Top 50 recruit, small forward Brandon Austin, would be transferring from Providence to Oregon. Austin had offers from Connecticut, Xavier, and Temple, among others, before deciding on the Friars, but did not see a minute of action in his stint there due to a pair of suspensions. 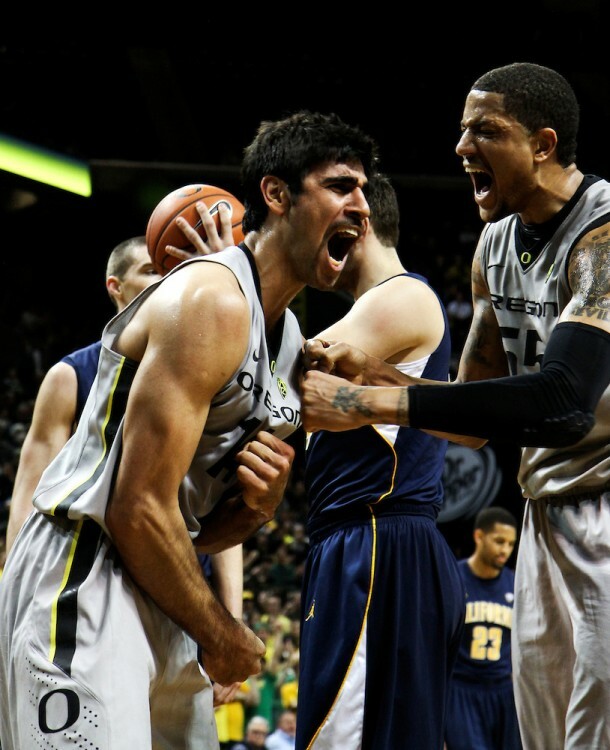 Altman has brought in transfers like Arsalan Kazemi (Rice), Joseph Young (Houston), and Mike Moser (UCLA and UNLV) during his four years in Eugene. Oregon State junior Eric Moreland showed a bit of rust in his first two games back from a 12-game suspension to open the season, but that was all washed away on Thursday against Stanford. Starting your season with two games in Boulder and Salt Lake City is a difficult chore for a number of reasons, most notably of which is the altitude at which both schools are located. So maybe some home cooking is all the forward needed. Moreland scored 17 points, grabbed 15 rebounds, and recorded four blocks and four assists, producing a career night when the Beavers desperately needed one. While basketball is why we’re all here at Rush the Court, it’s always great to hear about the human stories and incredible acts of charity that so many of these players are involved with. Villanova is the talk of the conference right now coming off an impressive Battle 4 Atlantis win over a possible national championship contender in Kansas and another ranked team in Iowa. The Wildcats have a deep group of talented perimeter players, headlined by Kansas-game hero Ryan Arcidiacono and swingman James Bell, who is having a breakout season, but Jay Wright believes it is Rice transfer Dylan Ennis who has made all the difference for his club: “He shocked me. He played with great composure. He didn’t force shots. He was really impressive.” Ennis averaged 12 points, three rebounds, and two assists at Atlantis — his first three games of the season — and was especially effective from long range, knocking down eight of his 12 three point attempts. Nova’s schedule now becomes very Philly-centric, with games against Penn, Saint Joseph’s, and La Salle over the next few weeks, but the biggest match-up for Ennis comes on December 28 when he travels to the Carrier Dome for a showdown with his little brother Tyler, who has been excellent so far this season as the starting point guard for the Orange. We are nearly at the finish line as we have whittled the field down to four. The Regional games were not exactly things of beauty as outside of two games (Michigan-Kansas and Ohio State-Arizona) the games were not particularly exciting. Hopefully next weekend provides a little more drama, but there should be no shortage of story lines with one semifinal pitting Syracuse against Michigan (possibly Boeheim’s last run and Michigan’s first trip since the Fab 5) and Louisville against Wichita State (winning for Kevin Ware and the Cinderella trying to make history). We are sure that more story lines will come out as the week progresses, but we hope that they aren’t in the form of investigative journalism revealing some scandal. And the coaching carousel goes around and around. The big domino from the weekend was Steve Alford backing out of his brand new 10-year extension at New Mexico to take over at UCLA. Of course, that opens up a spot at New Mexico where the school is looking for a replacement. 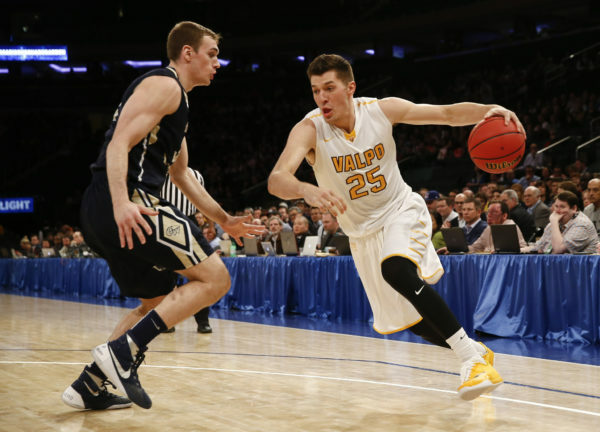 If Alex Kirk has any say in it the next coach of the Lobos will be Craig Neal as Kirk has reportedly threatened to graduate over the summer and transfer to UCLA if Neal is not named the next coach of the Lobos. UCLA may have landed its man, but Minnesota has not found a coach yet as they were rebuffed by Flip Sanders. Meanwhile former Minnesota coach Tubby Smith is reportedly under consideration to be the next coach at Texas Tech (must have something for former Kentucky coaches). With USC reportedly targeting Andy Enfield we could likely see another spot open up although we doubt that Dunk City will be that attractive of an opening despite their run this year. The coaching carousel may have dominated the off-court news, but the bombshell of the weekend came from Arsalan Kazemi who claimed that Rice Athletic Director Rick Greenspan repeatedly directed racist comments at Kazemi and two other players from the Middle East while Kazemi was at Rice. 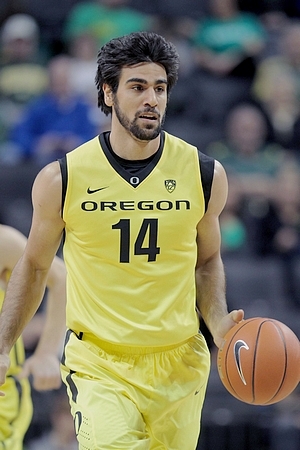 That treatment was reportedly the basis for the hardship waivers that Kazemi and another player (Omar Oraby) used transfer to Oregon and USC respectively without having to sit out a year. Kazemi is not talking about those comments at this time, but in documents obtained by Sports Illustrated he claimed that Greenspan repeatedly referred to the Axis of Evil and Al-Queda when talking to the players. Rice, which obviously didn’t support the hardship waivers, has come out and strongly denied these claims, but it is not a good look for any organization much less an institution of higher learning. The NCAA has also refused to discuss the case citing privacy concerns, but we would hope that they did a decent amount of investigating before granting a waiver for such a claim. The decision by Ryan Harrow to transfer from Kentucky should not come as much of a surprise given his poor play this season and the tsunami of talent coming into Lexington next season that would essentially eliminate his minutes. While Harrow’s decision to transfer to Georgia State raised a few eyebrows initially it made much more sense when he revealed his reason for transferring there was to be closer to his father who is still recovering from a stroke. Harrow will reportedly attempt to use a family hardship waiver to avoid sitting out a year before playing for Georgia State. While we wish Harrow the best in his career and more importantly his father’s recovery the use of hardship waivers in situations like this feels strange to us. If your family member is doing so poorly that you need to move closer to assist with their care we aren’t sure how playing college basketball is going to help them recover. The college basketball epicenter of the universe has probably been somewhere around Louisville, but if you are looking for the epicenter of college basketball recruiting you need to head east to Washington, DC as the area has produced a ridiculous amount of talent recently. The article focuses quite a bit on the famed 2004 All-Met team, but the talent extends well beyond that year. The amount of talent and the lack of success of some college teams in the area has become a hot button topic and is probably responsible for the firings of some coaches in the area. The level of talent also probably means that some potential sleepers could be found there who may not be quite NBA-level talents, but certainly good enough to play Division I and will have had experience playing against great talent even before they get to college.